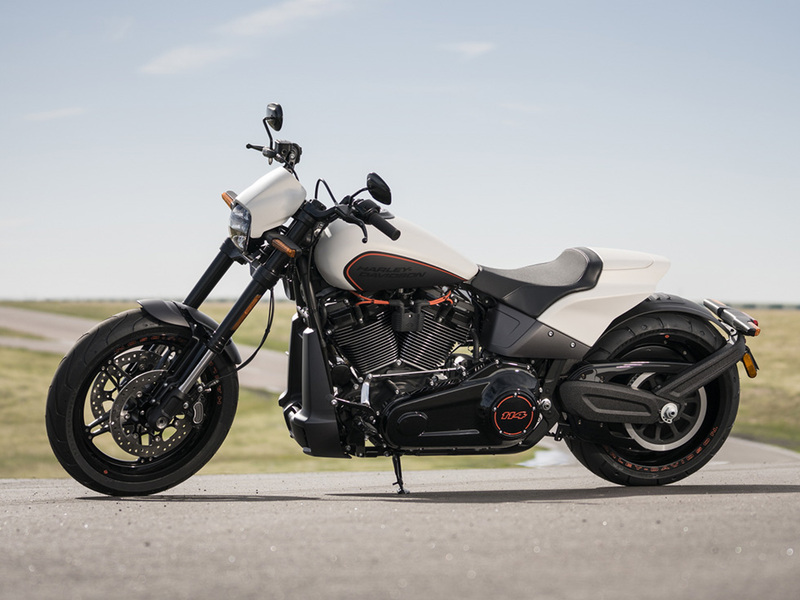 Harley-Davidson® 2019 FXDR™ 114 for sale in London. Milwaukee-Eight® 114 Engine - The most powerful engine you can get in a Softail®model. Loads of torque for blasting off from stoplights, hitting entrance ramps, and rolling on the passing power. Pure sound with a soul-satisfying rumble. Minimal Weight for Maximum Performance - Designed with a number of alloy and composite components to reduce the overall weight, including an all-new aluminium swingarm and subframe. Maximises acceleration, braking and handling performance. Bold 2-into-1 Exhaust - Loads of torque for blasting off from stoplights, hitting entrance ramps, and rolling on the passing power. Pure sound with a soul-satisfying rumble. Racing-Style Fork - Inverted race-style design, with single-cartridge technology that improves response to steering input and braking and handling performance. New Air Intake - Inspired by Screamin’ Eagle® NHRA drag bikes and shaped to enhance air flow to the engine. A fresh interpretation of the Heavy Breather with an exposed, forward-facing filter element. Softail® Frame - A reinvented Softail® frame that gives you more agility than you ever imagined from a bike carrying this much dragster attitude. High Performance Rear Mono Shock - Easily adjustable mono-shock rear suspension allows for dynamic cornering, quick acceleration and braking while preserving the hardtail look. Stretched Fuel Tank - A sleek design that lengthens the profile of the bike to give it an aggressive look. Modern Technologies - You get a LED Daymaker™ headlamp, LED rear lighting and LED turn signals; digital riser gauge, and a keyless ignition.